A CPD article improved Georgina O’Reilly-Foley’s understanding of developing rapport and trust between nurses and patients. 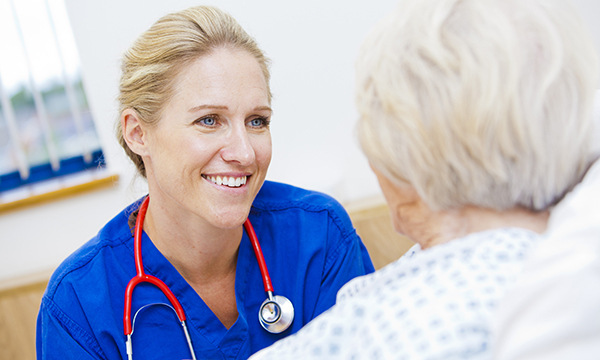 The article emphasised the importance of person-centred care in providing effective treatment and support that meets patients’ needs, and explained that it is essential for nurses to develop therapeutic relationships with patients to provide such care. I learned that ‘rapport’ is defined as the ability to establish and sustain a working partnership, and that this is crucial to developing trust with a patient and maintaining a therapeutic relationship with them. The article stated that nurses must build rapport with patients to become familiar with the person and their needs, so that they can provide effective care that incorporates the patient’s experience of their illness or disability. The article emphasised that it is important for nurses to maintain professional boundaries with patients, for example by not sharing excessive personal information with them. Before reading the article, I felt I was not giving enough information about myself to patients. However, I now realise that it is appropriate for nurses to keep a professional distance and focus on the patient’s needs. The article provided suggestions for developing trust and rapport with patients, for example by asking questions that focus on their experience and perception of events, and keeping them informed of their care plan and treatment. Implementing these suggestions has enabled me to improve my practice, and I have observed that patients appear less stressed after I give them information about their care. I will continue to communicate regularly with patients and their relatives, so that they feel involved in their care. I also intend to use the elements of optimum communication outlined in the article – invite, listen and summarise – in my practice. The article emphasised the importance of treating patients as individuals, which relates to The Code theme of prioritising people. This theme also states that nurses must work in partnership with people to ensure they deliver care effectively, which can be achieved by developing a therapeutic relationship with them. The article provided techniques that nurses can use to communicate effectively with patients, which is one aspect of The Code theme of practising effectively. This reflective account is based on NS906 Price B (2017) Developing patient rapport, trust and therapeutic relationships. Nursing Standard. 31, 50, 52-61.